We take care of the transport of ship’s stores, spare parts, machinery, etc. We dispose of several barges for this matter, to be used in case the vessel can not be reached by truck. Our transport barges are all equipped with a crane in order to load the goods onboard of our barge. 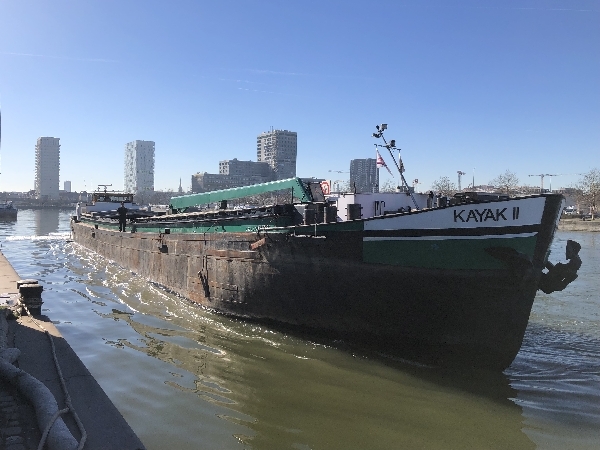 For the transport of larger spares, such as anchors and propellers, KAYAK MARITIME SERVICES disposes of several working pontoons. These pontoons can also be used in order to assist in repair works, painting works, etc. 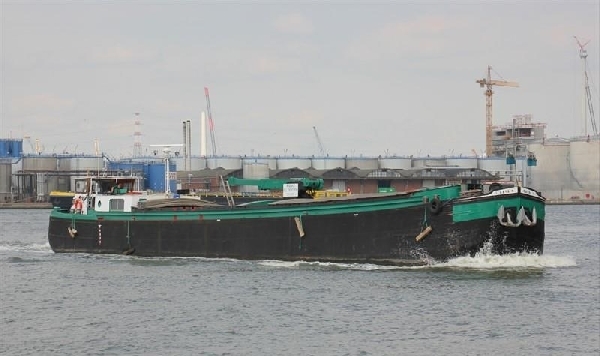 KAYAK MARITIME SERVICES has invested in a barge with cooling and freezing facilities on board. Our barge KAYAK II is equipped with a hoisting crane of 2 tons that can reach up to 20 meters. 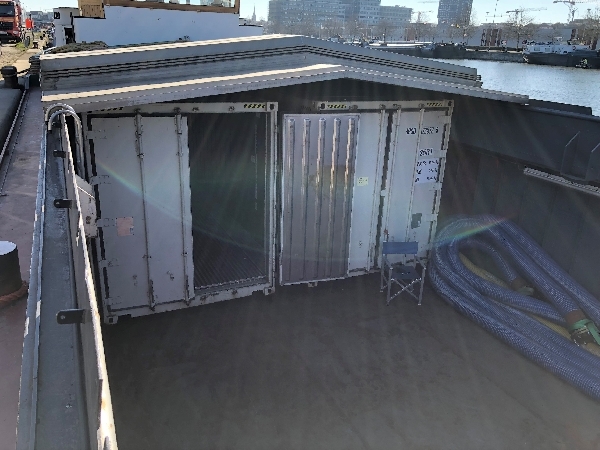 Delivery of stores and spares is therefore possible at all times, even if the receiving vessel has no crane available or in case of terminal restrictions regarding the use of vessel’s crane. Also in our warehouse we dispose of cooling and freezing storage facilities. All paperwork, custom’s related or not, receipts, delivery notes, etc. are 100% safe with us, we make sure that all documents get duly signed and cleared.